Keep deer and other wildlife out of your garden and orchard areas with this economical "do-it-yourself" Deer Fencing System. Keeping deer off your property greatly reduces risk of Lyme disease! 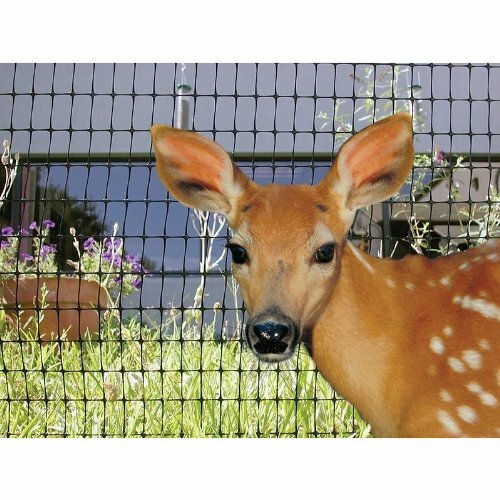 • Our Deer Fence Poly Netting is lightweight, easy to install and ideal for our Deer Fencing System. • Manufactured from black UV plastic for long life and durability. • Couple with our Deer Fence System accessories for an effective, low-cost solution to your deer problems. Please Note: We strongly recommend flagging ribbon so deer will see this fencing!